Do you want to have fun with some people? This ringtone annoy-a-tron can drive people mad. It can at random intervals start playing ringtones, you can select one of 5 or let the device select one for you. And there is a nice magnet part of the annoy-a-tron and that means that you can easy hide it almost anywhere. Sick it under the desk of the conference room, hide it in a coworkers drawer or maybe behind the couch at home. Now it will sounds like someone mobile phone is ringing when ever you don’t expect it. Have some fun with this Ringtone Annoy-a-tron. If you need some speakers and like the Transformers then you found the thing for you. 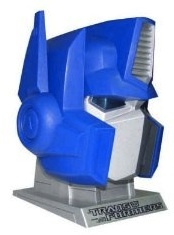 Here you have a speaker set build in to the head of Optimus Prime. You can move the blue helmet parts open and there are the speakers. The Speakers are USB powered and even show some LED lights for some great Transformers effects. Maybe you iPod is a bit big so why not go small like they do in Japan. Now you can have an 4GB MP3 player with build in battery as big as two sugar cubes. Just put in on you computer put you MP3’s on it and you are ready stick it in your ear and connect the wire for the other ear to get the stereo sound. 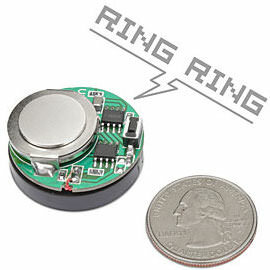 Go check this cool Japanese Micro MP3 Player and see more cool images and instructions. You know how it feels you have the coolest new song on you iPod and now you need to put your headset in to someone else ears to let them enjoy it to. Not any more. 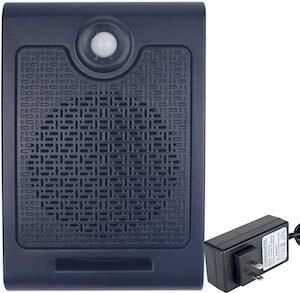 This speaker in the shape of an Amp is so small you can just have it with your homekeys and then when you want to show of you newest songs just plug it in to your MP3 player and WOW you will be impressing the crowds with you cool music. It even offers a USB mini port to charge the internal battery to keep you going while out with the boys. Check out the Speaker Amp Today!.